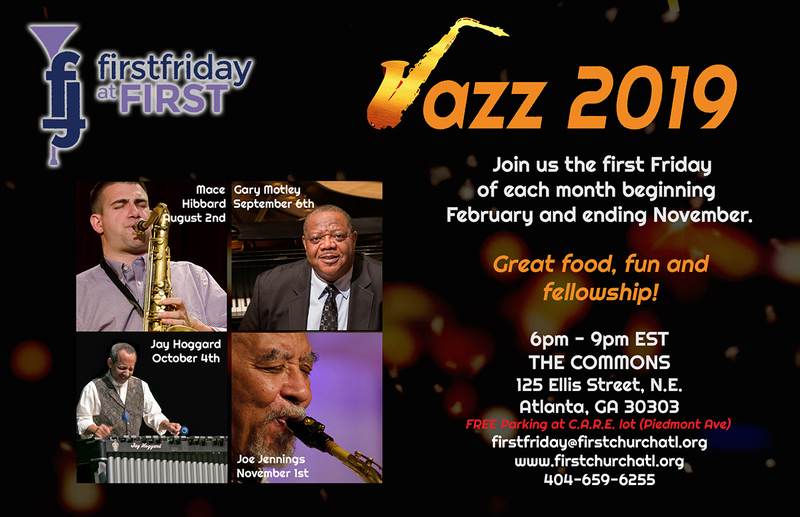 First Friday at First is a part of the “Jazz Ministry” at First Congregational Church. 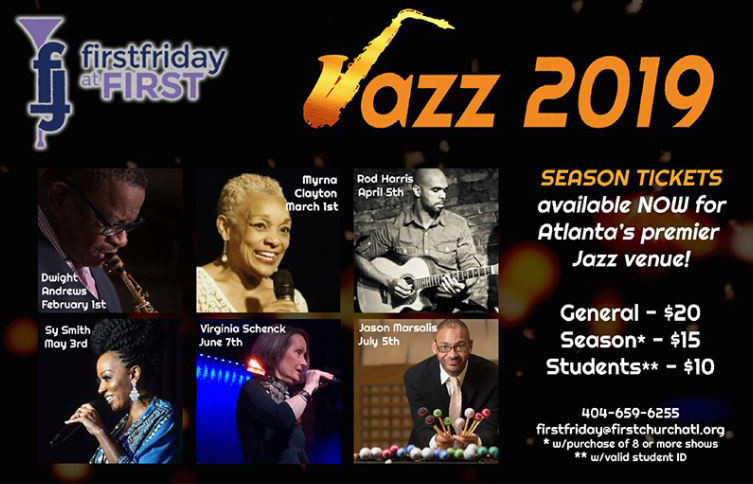 As Atlanta’s premier jazz ministry, this jazz concert is held on the first Friday of each month from February through November. It is a program sponsored and hosted by First Congregational Church under the direction of The Reverend Dr. Dwight Andrews, pastor of the church and a jazz master in his own right. 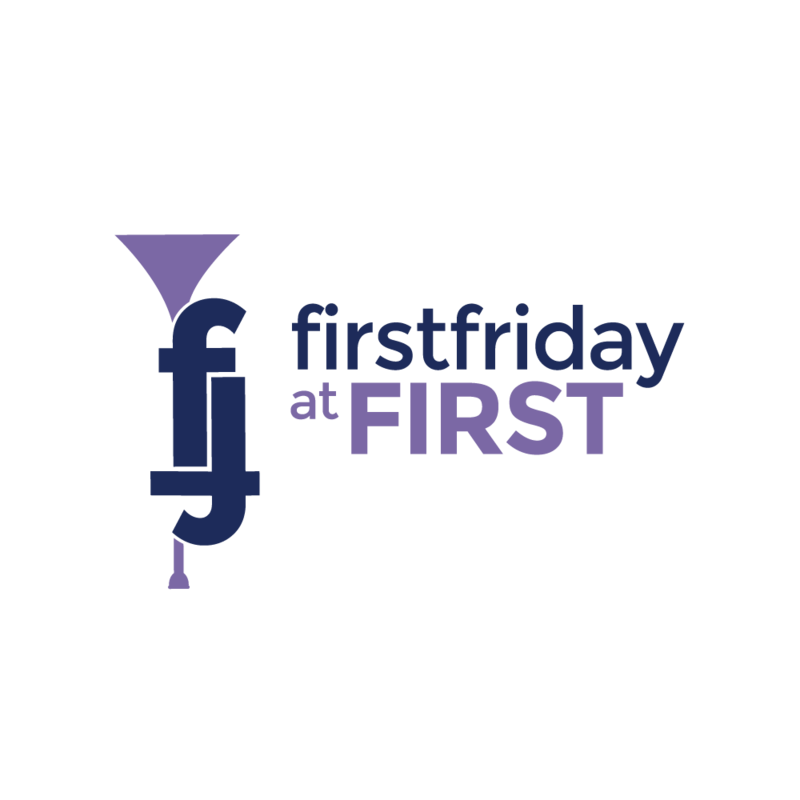 First Friday at First Church is the brainchild of Dr. Andrews, an accomplished musician and composer and Professor of Music at Emory University. He is the recipient of the 2018 Jazz Hero Award by the Jazz Journalists Association. He was the first Quincy Jones Visiting Professor of African American Music at Harvard University for 1996-1997, was awarded the Yale Divinity School’s prestigious Lux et Veritas Award, and was the Distinguished Visiting Scholar of the Arts for 2015-2016 at Spelman College. As a musician, Dr. Andrews has appeared on over 25 jazz and ‘new music’ recordings. He is recognized for his collaborations with playwright August Wilson and director Lloyd Richards, having served as musical director for the Broadway productions of Ma Rainey’s Black Bottom, Joe Turner’s Come and Gone, The Piano Lesson, and Seven Guitars, and the Broadway revival of Ma Rainey’s Black Bottom featuring Whoopi Goldberg and Charles S. Dutton. He provided the music direction for the Broadway revival production of A Raisin in the Sun, starring Sean Combs, Phylicia Rashad, Audra McDonald, and Sanaa Latham. His film credits include The Old Settler starring Phylicia Rashad and Debbie Allen, The Piano Lesson, HBO’s Miss Evers’ Boys and the PBS documentaries, W.E.B. Dubois: A Biography in Four Voices and Homecoming: The Plight of Black Farmers in Georgia. 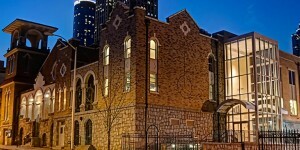 The public is invited for great music, dinner, fun, and fellowship. 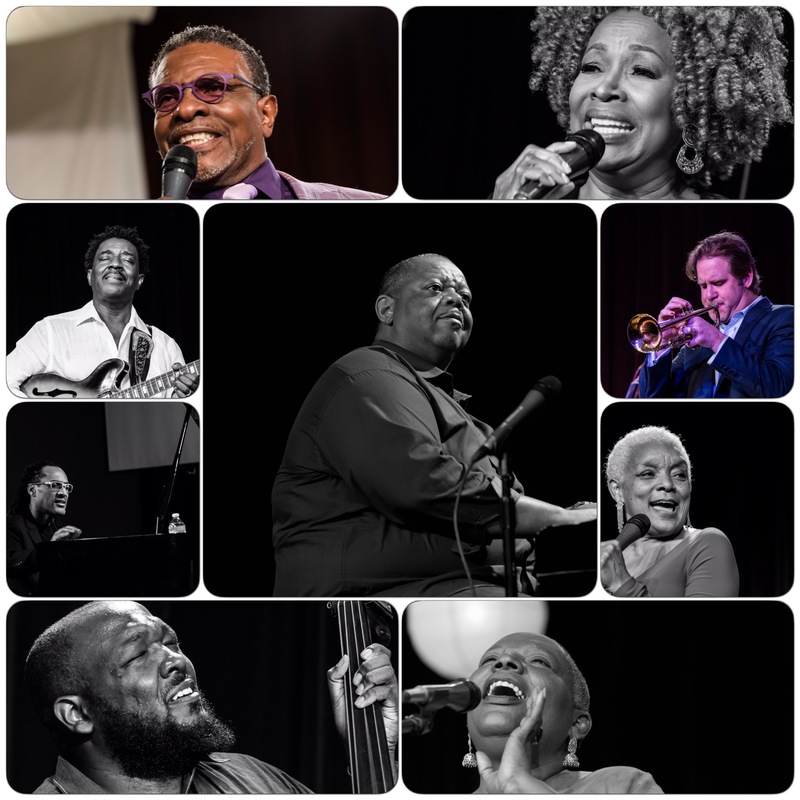 Local Jazz artists as well as nationally known jazz entertainers have graced the stage at these highly popular concerts. Jazz favorites such as Doc Powell, Mace Hibbard, Kathleen Bertrand, Joe Jennings, Kevin Bales, Myrna Clayton, and Joe Gransden have been regulars. In 2019, national artists Wendell Harrison, Sy Smith and Jason Marsalis will join an all-star lineup of musicians. Individual tickets are $20.00 each; Student tickets are also available for $10 with valid student ID. A Season Ticket package of 8 concerts at a price of $15/ticket will be available in 2019. Prices for dinner range from $4.00 to $7.00. 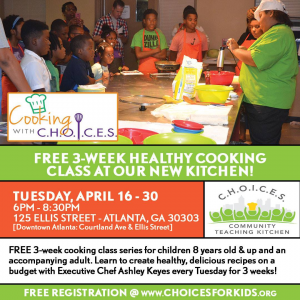 For further information and to purchase tickets, please contact First Church at 404-659-6255 and ask for the church administrator during regular office hours. Subscribe to the First Friday Mailing List!